Giant Squid Announce New Forest Adventure 'The Pathless'. The Pathless New game coming from the Giant Squid ,the developer of 'Abzu'. The Pathless is coming to PS4, Xbox One and PC Next year . Players take on the role of the Hunter , a master of Archery ,attempting to dispel a curse that threatens the world . Key to experience is your bond with your eagle companion and together you will scour secrets in the forest's shadows , solve puzzles in ancient ruins and engage in epic battles .It looks , as you might expect from Giant Squid ,absolutely beautiful and undoubtedly reminiscent ,stylistically and tonally , of its forebears . 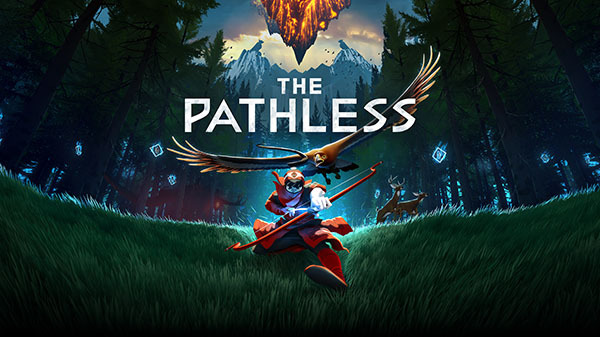 The Pathless Trailer Below .